Enter For A Chance To Win Passes To See PITCH PERFECT 3 on December 19th at 7:30 PM in Austin. 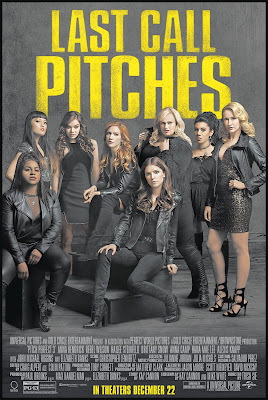 Pitch Perfect 3 is again produced by Paul Brooks of Gold Circle Entertainment and Max Handelman & Elizabeth Banks of Brownstone Productions, and is directed by Trish Sie (Step Up All In). Rated PG-13 for crude and sexual content, language and some action.